Forceps - 200mm. Great for feeding plus skin & parasite removal. Foceps & Tweezers are perfect for feeding juvenile animals to avoid being bitten. They are also useful to help in the fiddly process of removing stubborn dead skin in delicate areas such as the head, etc. of a shedding reptile. Additionally, tweezers also work well for external parasite removal. 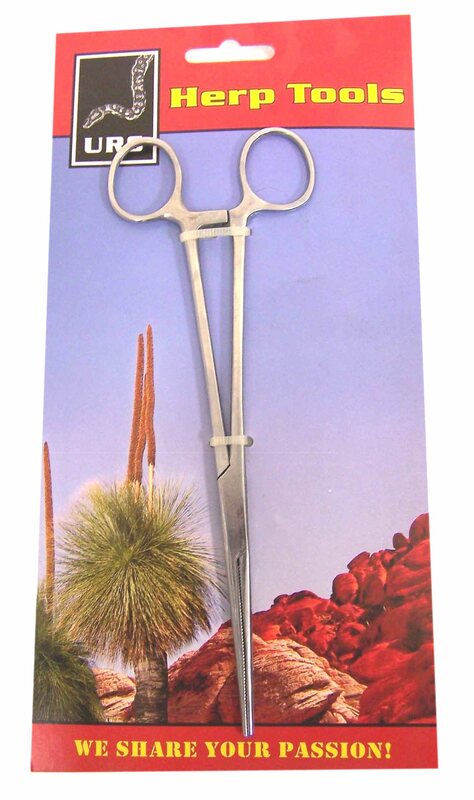 All Tweezers & Forceps are made from quality surgical stainless steel, and with care, will last you for years to come. Forceps available in 140mm, 180mm, 200mm, 300mm, 450mm and 600mm.